San Francisco Giants shortstop Brandon Crawford (Orleans, 2007), Arizona Diamondbacks center fielder A.J. Pollock (Falmouth, 2008) and Houston Astros pitcher Dallas Keuchel (Wareham, 2007-08) were among the 18 Gold Glove recipients revealed during a special awards program, which aired on ESPN2. Crawford and Pollock were first-time winners, while Keuchel won for the second time in as many seasons. Crawford, clearly one of baseball’s premier shortstops over the past three seasons, finished behind Atlanta’s Andrelton Simmons in the 2013 and 2014 National League Gold Glove balloting. Again this season, Simmons led in most fielding statistics, but Crawford somehow managed to capture enough votes to unseat his rival. Simmons, who also won the Platinum Glove in 2014 for being the NL’s top overall defensive player, compiled the league’s best defensive WAR again in 2015, edging out Crawford 3.5 to 2.9., and he had a higher fielding percentage, a league-best .988, compared to Crawford’s .979. But statistics don’t tell the whole story, says Giants starting pitcher Madison Bumgarner. Major league managers and coaches vote for the Gold Glove winners but cannot pick players on their own clubs. The SABR (Society for American Baseball Research) Defensive Index is also a component of the award, and that’s where Crawford excelled, with a 16.1 rating. Fellow finalist Adeiny Hechavarria of Miami was second among NL shortstops, at 11.6, and Simmons was third at 10.1. 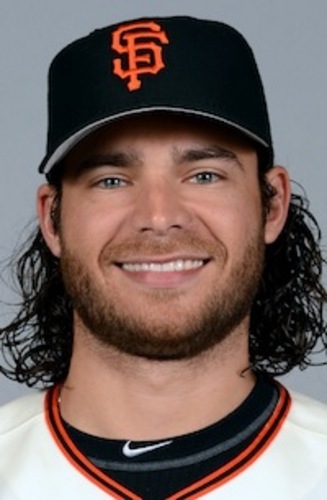 Crawford, drafted in the fourth round by San Francisco in 2008, was the Giants’ only 2015 Gold Glove recipient, although catcher Buster Posey (Y-D, 2006-07), first baseman Brandon Belt (Harwich, 2008) and rookie third baseman Matt Duffy (Orleans, 2011) also were finalists. Crawford noted that second baseman Joe Panik (Y-D, 2010) surely would have been a finalist as well, had he not missed the final two months of the season with a lower back injury. Although Duffy will have to wait at least another year before bringing home a Gold Glove, he still has a shot at postseason hardware in 2015. The third baseman is a finalist for the NL Rookie of the Year award, which will be announced next week, but he’ll have strong competition from a fellow member of the Cape League’s class of 2011. Chicago Cubs third baseman Kris Bryant played just a few miles down the road that summer, at Chatham. Although the award is for fielding, Crawford’s bat may have helped send a vote or two his way. He hit .256/.321/.462 and enjoyed a wide edge in power, slugging 21 homers and collecting 84 RBIs to Simmons’ four dingers, 44 RBIs and batting line of .265/.321/.338. Crawford, 28, is the Giants’ first Gold Glove shortstop since Omar Vizquel in 2005-06, and the first-ever Cape League graduate to prevail at that position. Pollock, one of two Arizona Gold Glove winners this year (along with first baseman Paul Goldschmidt), has emerged as one of baseball’s top players in his fourth MLB season. The Notre Dame product and 2008 Cape League Most Valuable Player also made his first All-Star team this season and finished among the NL’s leading hitters with a batting line of .315/.367/.498, 20 home runs and 76 RBIs. 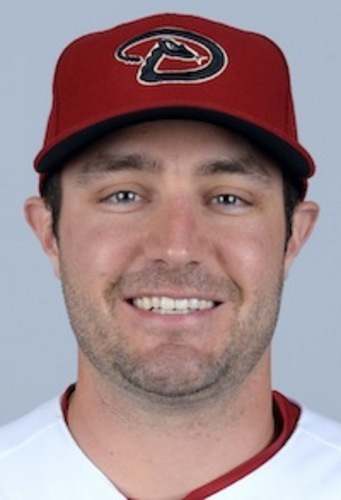 The Diamondbacks’ first-round pick (17th overall) in the 2009 draft. Pollock ranked fifth in average (.315) and was second in hits (192) and runs scored (111). He also stole 39 bases, fourth best total in the league. Arizona’s Chip Hale (Orleans, 1984-85), one of Major League Baseball’s nine managers who played on the Cape, was very impressed by the work of his two Gold Glovers. Pollock’s UZR (ultimate zone rating) placed him third among NL center fielders this year. His steady and sometimes spectacular play helped the Diamondbacks compile the most defensive saves of any team in baseball. Pollock is the first Gold Glove-winning outfielder from the Cape League since 2010, when Michael Bourn (Y-D, 2002) won his second in a row playing for Houston, then a member of the National League. Only one other former CCBL player won the award as an outfielder – Philadelphia’s Aaron Rowand (Brewster, 1996-97) in 2007. Houston’s Keuchel captured the American League version of the coveted trophy for pitchers, his second in as many years. The Astros’ seventh round draft choice in 2009 is one of eight players in franchise history to win a Gold Glove and the third Astro from the Cape League to do so, joining Hall of Fame second baseman Craig Biggio (Y-D, 1986), who won from 1994-97, and first baseman Jeff Bagwell (Chatham, 1987-88), the 1994 winner. Only one other pitcher from the Cape League owns a Gold Glove – Ron Darling of the New York Mets, whose 1989 victory came nine years after he was named the CCBL’s Most Valuable Player and Outstanding Pro Prospect as a member of the Cotuit Kettleers. Darling, now a Mets and MLB Network baseball analyst, was elected to the CCBL Hall of Fame in 2002. 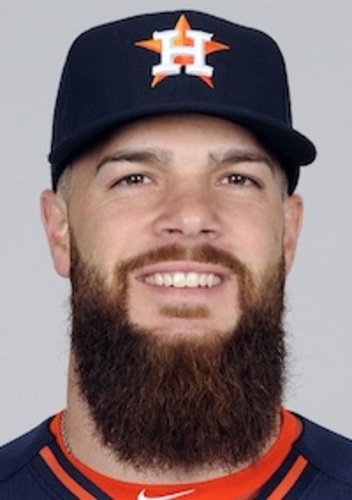 The Gold Glove caps a breakout 2015 season for the 6-foot-3, 210-pound Keuchel, who starred at the University of Arkansas. His 20-8 record and 2.48 ERA led AL pitchers and he struck out 216 batters in a league-high 232 innings pitched. The left-hander committed just one error in 72 chances and topped all AL pitchers with a .986 fielding percentage. His 18 putouts ranked fourth. Keuchel told MLB.com’s Brian McTaggart that he takes great pride in his defensive skills. Keuchel also has a great chance to be named the American League Cy Young winner when that award is announced next week.